Here's the Carzone.ie guide to buying a used Land Rover Defender. The Land Rover Defender needs no introduction, as it is a truly iconic vehicle. Many mourned the end of production in 2016, as it became untenable to make the car conform with legislation concerning pedestrian protection and safety any longer. There will be a brand-new replacement in time, but it’s suspected that it will not replicate the simplicity and utility of the original. Here we look at the Defender following its last major revamp in 2013. The 2013 update was mostly focused around the introduction of a new diesel engine, of 2.2 litres in capacity, replacing the older 2.4-litre unit. These were both supplied by Ford. The smaller engine was just as powerful, with a measly 120hp and 360Nm of torque, plus it used a diesel particulate filter for the first time in a Defender. Both ‘90’ short wheelbase and ‘110’ long wheelbase versions were sold, and Land Rover also offered a soft-top model for the first time to the general public. Most in the classifieds now are registered as N1 commercial vehicles, but watch out for the special edition models sold near the end of the Defender’s life, as they’re quite desirable – and potentially collectable. They were called the Autobiography Edition, Heritage Edition and Adventure Edition and production was limited in numbers. 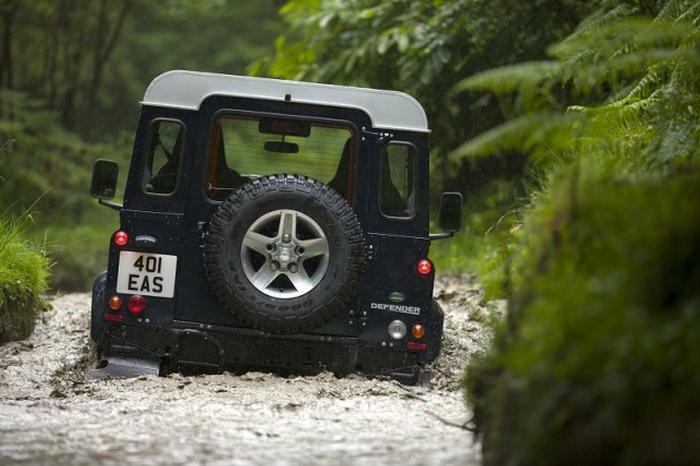 The Defender is best thought of as a serious workhorse, particularly good off-road. Hence, it seems silly to pay large amounts of cash for those Celebration Series cars and then worry about damaging them. Instead, seek out a well-maintained five-door Defender 110 with as many creature comforts as you can find. The Land Rover Defender isn’t for everyone, but it is unquestionably an icon. That’ll be enough to convince some to seek out one of the last examples and cherish it. Others will appreciate the Defender’s no-nonsense utility and it go-anywhere four-wheel-drive system. Just be aware that it’s not great to drive on the road.